Soo...When are you trading it in for an M5? I would question if a M5 is worth $55k more than a Genesis R-Spec. Very nice, not too loud or ostentatious. I think it's the right sound for this car. You hit the nail on the head with that comment. I totally agree. I was actually pleasantly surprised it wasn't too throaty. Sounds beautiful! 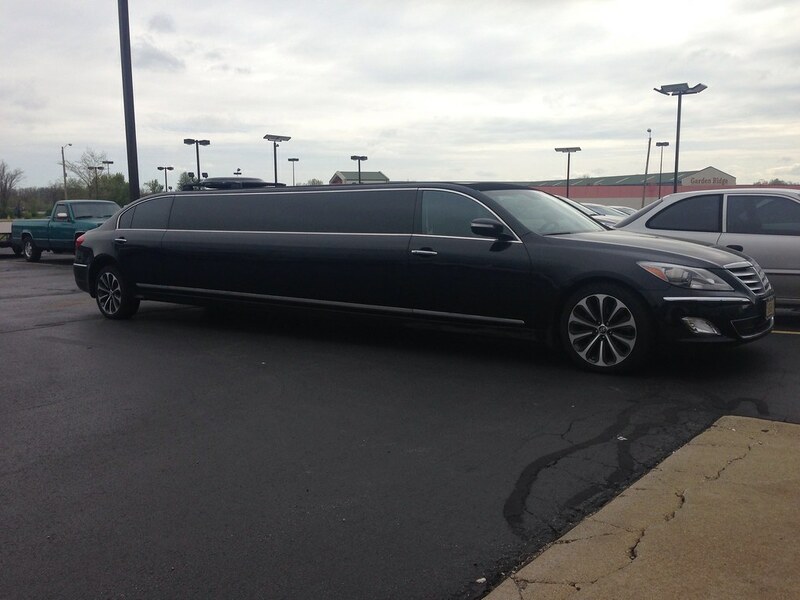 Riding in style to prom. That Genesis limo is pretty sweet, but I like OP's R-spec a lot better. I prefer to drive and not be driven. Thanks for the video clips. That does have a nice V8 rumble to it. Nice choice! About 320 hey I drove it to my son's baseball games on Sat and Sun. It'll be 2 months old on the 8th. I do have 3 vehicles and work from home. Last edited by NSXNEXT; 04-29-2013 at 10:51 AM. Well I will tell you this... the trunk is really big. Ordered the final piece. Secondary cat deletes. And you probably have a rubber trunk liner too. I need to find someone local with a GoPro. I don't have any way to get the "on the road" sound. Acura Event Flip video recorder? I poked holes in them. The bags not the kids. Ebay it or something, man! It's not that expensive. Do it for the team....do it for AZ......I work 12 hours a day and I still found time to stick a camera on my rear bumper! Wow, that exhaust really does sound good. I'm going to run an external mic from my Kodak Zi8 mini cam to the back of the car. Hopefully get some sound bytes tomorrow. It's nowhere near as ferocious as yours. MSA cat deletes arrived today. Going in tonight.